Have you or your child struggled with cavities? According to the National Institute of Dental and Craniofacial Research, 92% of adults age 20 to 64 have had dental caries (cavities) in their permanent teeth, as do 42% of children aged 2 to 11. Though common, there is a solution that will drastically reduce your chances of tooth decay – dental sealants. Even if you’re among the lucky few who have never had a cavity, you can still benefit from dental sealants. Dental sealants are a thin, plastic-like coating that covers and protects the surface of your teeth. They act as a barrier, fighting off cavity-causing plaque. These sealants cover each nook and cranny of your teeth, acting as a custom-fit shield that fits perfectly into every tooth groove and chewing surface. Though you should brush and floss daily, even after getting dental sealants, often times the easy-to-miss grooves in our teeth are where cavities form; so dental sealants work wonders for protecting these cavity-prone areas. Are Dental Sealants just for kids? Dental sealants are great for children aged 6-15, often called the “cavity years,” and many experts suggest that children have their molars and premolars sealed as soon as they come in. Even so, everyone can benefit from dental sealants, no matter what the age. Especially if you’re prone to getting cavities and tooth deterioration. 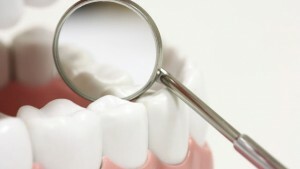 What can I expect from Dental Sealants? Getting dental sealants is a simple process that will save you time and money by avoiding extra appointments and costly tooth decay. Application is very fast and painless, taking only a few minutes for each tooth. Most dental sealants last up to 10 years, and they will be checked for chips or damage during each cleaning appointment. If you’re ready to safeguard your teeth from painful and costly cavities, dental sealants offer a fast, easy, and cost-effective solution. So the real question is, why not get dental sealants? Dr. Eric Mintalar is a family dentist providing general dental services, implants, crowns, bridges, orthodontics, and cosmetic dentistry to Minneapolis, Brooklyn Center, Golden Valley, Crystal, and Brooklyn Park, MN.